If one walks past the corner of Izabella street and Andrássy avenue, one of Budapest’s most elegant streets, the Avenue Gardens building looks no different from the surrounding, nicely renovated art nouveau apartment buildings. But on the other side of Avenue Gardens’ guarded gates a whole different world opens up with modern, minimalist buildings, huge terraces and neat Japanese gardens. Small ponds and gravel paths separate the five finely designed buildings named after famous composers like Chopin and Bartok. The ambiance calls in mind the quarters populated by the rich in big Western European cities, and accordingly the Avenue Gardens’ apartments are also mostly occupied by foreigners. We found the names of Asian diplomats, a British banker, and an expert of Islam financial law on the post boxes. In July 2014, a company named Avenue Garden Holding acquired 44 apartments and retail units in this exclusive building. This company is directly connected to a network of Hong Kong based offshore businesses which sell special Hungarian state bonds for huge profit. The controversial business opportunity of selling Hungarian residence permits in exchange of special state bonds was initiated in 2012 by Antal Rogán, then the leader of the parliamentary group of Fidesz, the ruling party in Hungary. Rogán’s main idea of was that those wealthy businessmen who, due to visa regulations have difficulties with traveling to and inside the EU, can buy 250-300 thousand euros worth of Hungarian special state bonds, and in exchange they receive residence permit. Not anybody can sell these special bonds. The parliamentary committee of economics and information technology, then also headed by Rogán, divided the world into regions, and each company they selected for the task could sell the bonds in only one of these regions. The companies were selected without public tenders and are almost exclusively registered in well-known offshore locations, therefore their ownership structure remains unknown. The most lucrative market for selling the Hungarian special bonds has been so far China, where a company named Hungarian State Special Debt Fund (HSSDF) has permission to conduct the business. HSSDF was registered on the Cayman Islands and operates from Hong Kong. HSSDF only sells the bonds while another Hong Kong based offshore company, Hungary State Special Debt Management Ltd, does everything else in connection with the business: marketing, administration and PR. Avenue Garden Holding, the company that bought dozens of luxury apartments on Andrássy Avenue, is connected to these two Hong Kong based companies with multiple ties. Avenue Garden Holding refused to disclose the purchase price. According to a real estate agent selling apartments in the Avenue Gardens building, currently apartments are sold for roughly 2000 euros/square meter, which means that the current value of all the apartments, parlours and other premises acquired by Avenue Garden is around 2.8 billion Hungarian forints (8,9 million euros). “Andrassy’s enviable address and prime location are on par with the prestige of 5th Avenue in New York and the Champs-Elysées in Paris” – Avenue Gardens brags about the fine location of the apartments on its website to attract potential customers. Built in the early 2000s, the building complex was originally owned by a large international real estate development company. This company sold apartments, retail units and a fitness centre to Avenue Garden Holding, in total 44 premises – 4491 square meter – in July 2014. Since the companies involved are almost exclusively registered either in Hong Kong, on the British Virgin Islands or on the Cayman Islands there is no way to surely know the real owners behind the property deal and the special bond business. When first asked, Wang claimed that mainly Chinese private investors’ assets were used for buying real estate in Avenue Gardens, but in a later answer he said that exclusively the private investor’s assets were used in the property and not the income from the special bond business. However, at the time of the property deal Immigration Consulting Hungary was the sole owner of Avenue Garden Holding. “This is a clear example that the bond investment program brings additional foreign direct investment”, said Wang, but he did not specify who the investors are. Avenue Garden Holding has already returned some of the investments, as it sold several apartments and the fitness centre to Hungarian private companies and persons. Apartments are also for rent in the building. According to the information found on the webpage of real estate agencies the rent is between 900 and 3400 euros per month. A bigger, 139 square meter apartment is advertised to rent for 2090 euros per month, excluding the 381 euros for the building’s expenses. The residency bond program was initiated by Antal Rogán, who currently serves as chief of staff of prime minister Viktor Orbán. Rogán also made sure that parliament rapidly approved the program at the end of 2012. Rogán was the one proposing the amendment of the residency law. He designed the rather loose screening process of the companies applying for selling the special bonds. And he convinced the parliamentary committee of economics and information technology to decide in favour of the program. Later Rogán also convinced the committee that even though HSSDF is an offshore company with an opaque ownership structure, the committee should grant them the opportunity of selling the special bonds because the managers of the company are, Rogán argued, respectable businessmen. The program, especially the involvement of offshore companies, was criticized by the opposition from the beginning. Parties PM and DK unsuccessfully attempted to exclude offshore companies from the program by proposing an amendment to the legislation. Meanwhile Rogán argued that there are other ways to hide the real owners of a company apart from being offshore, so excluding offshore companies will not necessarily enhance transparency. To calm the voices opposing the program, Rogán obliged the applying companies to reveal their owners. However, they did not have to prove the ownership with any legal documents, it was enough to just say the names. HSSDF cited the names of Lian Wang, Simon Mu, Jonathan Chan, Wu Wenquing and Attila Boros. Rogán attempted to reassure the parliament and the responsible committee that they are all well-known, internationally respected businessmen. 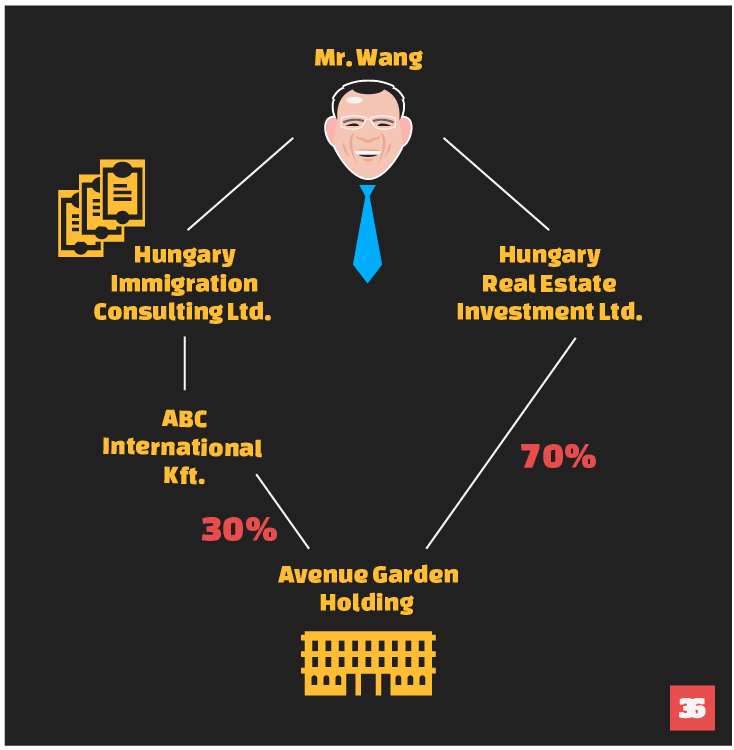 As Rogán said, Lian Wang previously worked for Deutsche Bank and Morgan Stanley, and Simon Mu is one of the top managers of Wanhua, a Chinese company which already had done some serious investments in Hungary. The only Hungarian, Attila Boros, also managed a big company before. 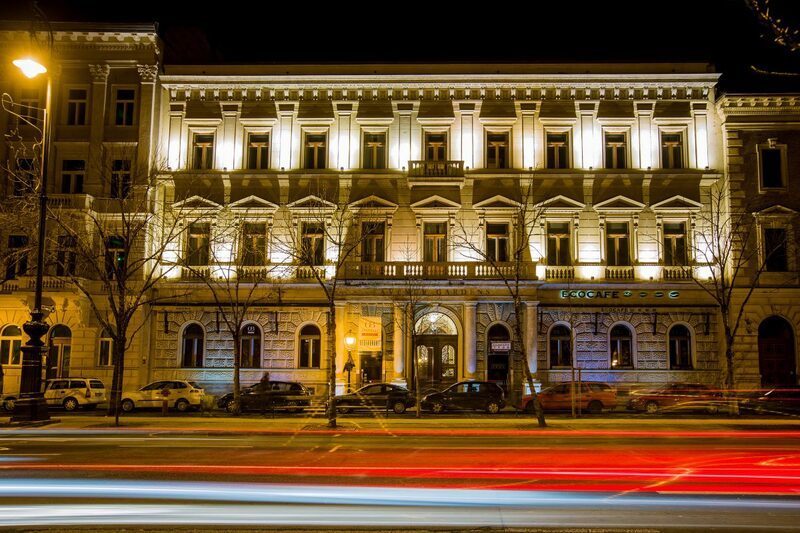 After repeated requests from journalists, the State Debt Management Agency (ÁKK) published the names and the declared owners of all the companies authorized to sell the special residency bonds. As official ownership documents of offshore companies are not accessible, it is not possible to verify if the declared owners are in fact the real owners. Even so, the owners of the companies could have changed after declaring them, since they were only obliged to reveal the owner during the application process, and they do not have any obligation to report changes in the ownership structure. There is a sign that HSSDF partly did so: in a 2015 article published in Figyelő, a Hungarian weekly, a person named Lisa Wu was included in the list of owners instead of Wu Wenquing. Wang told Direkt36 that companies is actually owned by over 3000 shareholders, who became co-owners after buying the shares. The residency bond program was also criticized because seemingly the main beneficiaries of the business are the offshore companies that are selling the bonds and not the Hungarian state. HSSDF, like all the companies authorized to sell the special bonds, buys the bonds at a discount rate, 30 thousand euros cheaper than their nominal price. Until January 2014 customers had to buy a minimum of 250 thousand euros worth of bonds to get the residence permit, since then the minimum purchase is 300 thousand euros. Customers also have to pay around 45 thousand euros as handling price. After the five-year maturity term the state pays back the nominal, and not the discount price to the companies, so the 30 thousand euros margin stays with the companies. China proved to be a relatively lucrative market for the residency bonds. In the two years since the program started HSSDF has had more than 2500 customers. On average, the company makes 70 thousand euros per customer, so in total they earned over 191 million euros. This is of course not all profit. HSSDF made considerable efforts to advertise the special bonds and Hungary itself in China. In an interview to a Hungarian online television Wang said that they work with 188 marketing agencies, where more than a thousand employees work on marketing and selling the Hungarian residency bonds. HSSDF also advertised the program on more than 400 expos and exhibitions. “One example may be, when we organize a marketing event, it takes 10-15 staff to prepare the event for 2-3 weeks prior to the date. One needs to reach out to the potential applicants, the venue needs to be secured, the speakers need to be available. These events are held at prestigious hotel venues in big cities of China, speakers must travel there, and there are marketing materials handed out to the potential clients”, explained Wang. However, according to Wang, it is a tough business: the company has to reach 50-100 businessmen to have just one contract signed. The marketing and administration costs are so high, that, according to Wang, the company did not produce any profit in the first two years of its operation. They are expecting profit for the first time in 2016. For information on companies, we used the databases of Ceginfo and Opten. Wie würde ich das auf Deutsch sagen:Patriotische Neuverteilung der Privilegien.